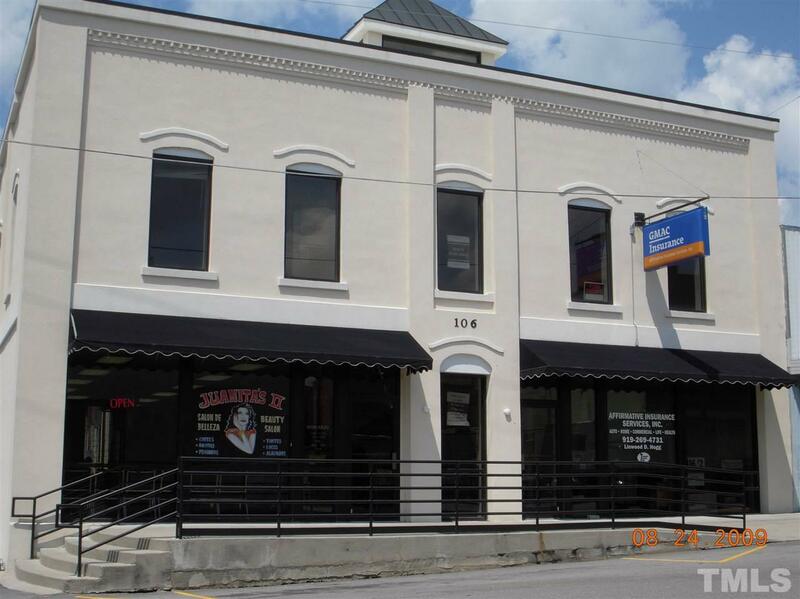 Historic Zebulon in Wake County. 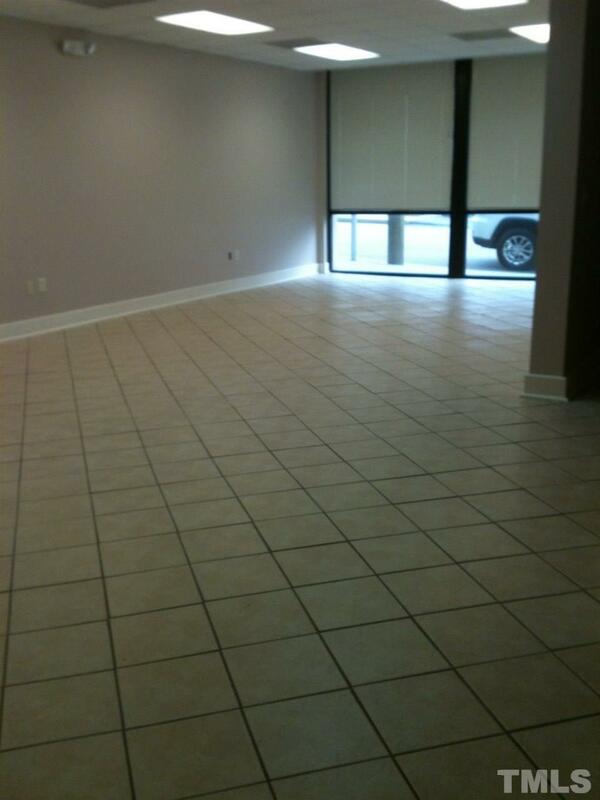 Nice office/retail space with tile floor. 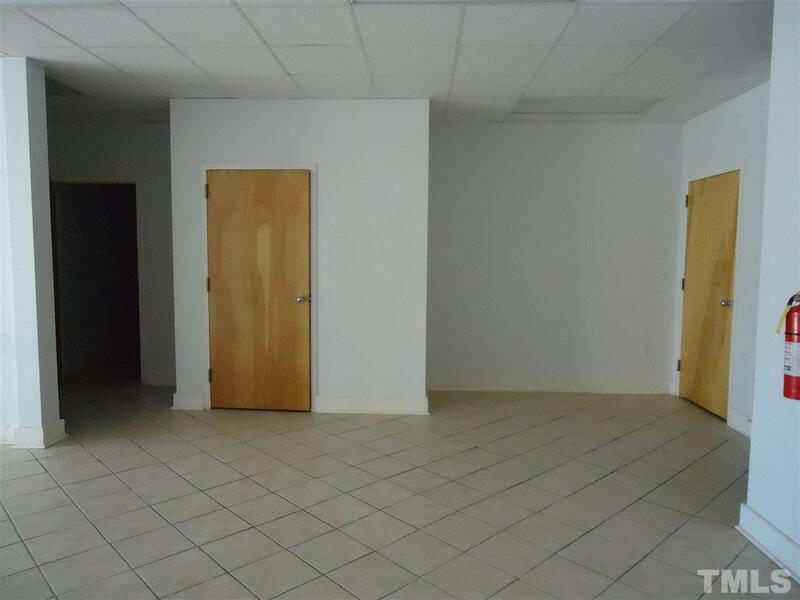 There are 2 offices to the back. Also an area used for coffee and eating. The Unit has a private 1/2 bath. This space feels generous in size. Nice front windows for signage or displays. 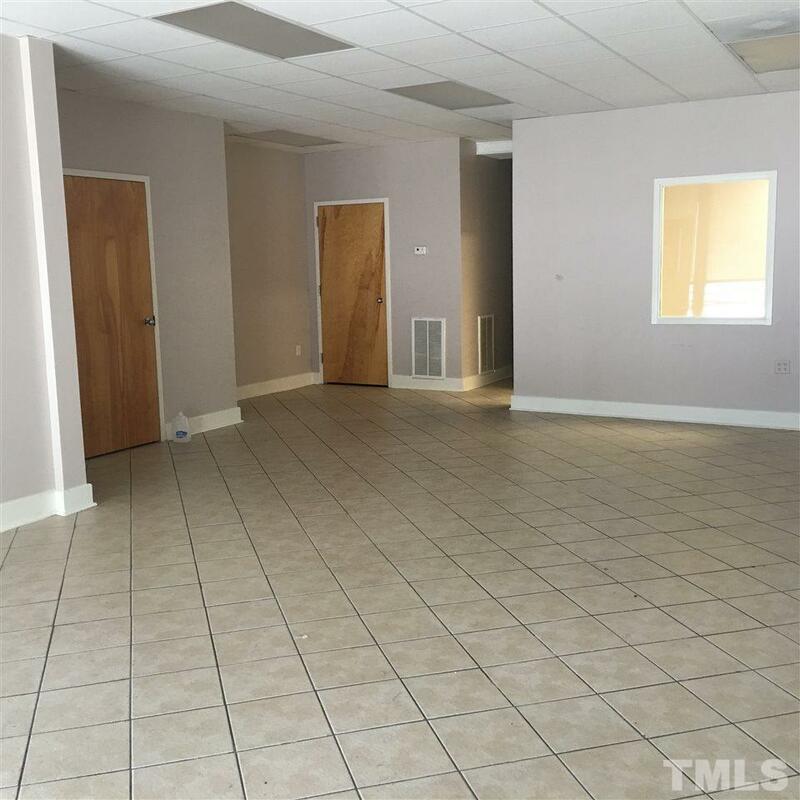 The building also has a private parking lot for the clients of the tenants. last unit available in the building.